Kung Kung, who was said to have rent a huge hole in the sky, was a terrible presence who had to be stopped. Luckily the dragon filled in the hole and set the tone for how the world would function for the rest of time. The rhythms by which it lived its life – sleeping, waking, breathing, eating, flying – resulted in the creation of day and night, seasons and weather, and all the familiar patterns we recognize today. Traditionally Chinese dragons are bringers of rain, and for this reason they are most often seen as kind divine presences rather than the terrible wreakers of havoc they were thought to be in the western world. In their capacity as controllers of weather, however, the immortal dragon could sometimes be offended by mere mortals, which often resulted in monsoon rains and terrible floods. Worshippers of the dragon quickly learned to respect its power. Chinese emperors who sought to highlight their own puissance often associated themselves with dragons as well. Because the mythological beings had so many powers, including expanding their size until they filled the universe or shrinking so small they were almost nothing, being seen to possess some of their qualities was very empowering. Indeed, many emperors even claimed to be descended from them. Dragon mythology was never an inexact science in China. Han scholar Wang Fu, born almost two thousand years ago, chronicles the dragon as having nine separate animal resemblances: the horns of a deer, the head of a camel, a demon's eyes, the neck of a snake, and so on. They also have 117 scales, of which 81 are positive yang essence and 36 are negative yin. They are wise and benevolent, and responsible for prosperity and wealth. 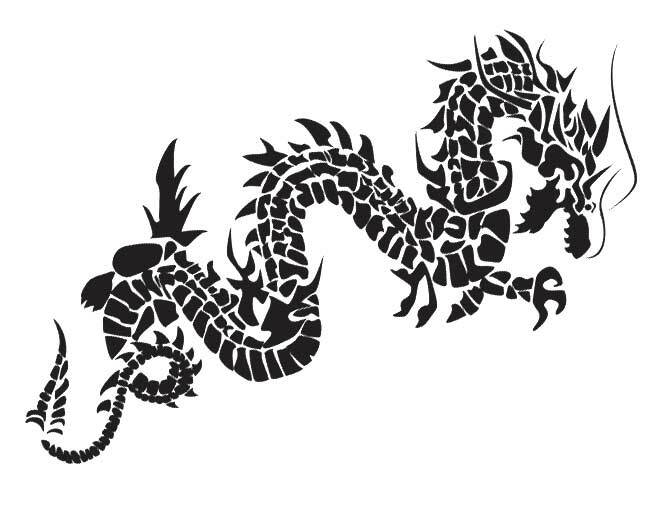 In other words, the Chinese dragon may just be one of mythology’s most delightful inventions ever. With such a colorful, meaningful, storied history behind their undulating bodies and large, friendly heads, it’s no wonder they’ve captured imaginations far beyond China’s borders. And luckily for you, you’ll find out yourself when you pour that next steaming cup of Jasmine Dragon Pearls, one of our Canada tea company’s very finest.